Million faces, give or take a few, characterize this bird. Few people realize the male Anna’s Hummingbird has a million faces. Usually, they see something like the bird in the above photo. 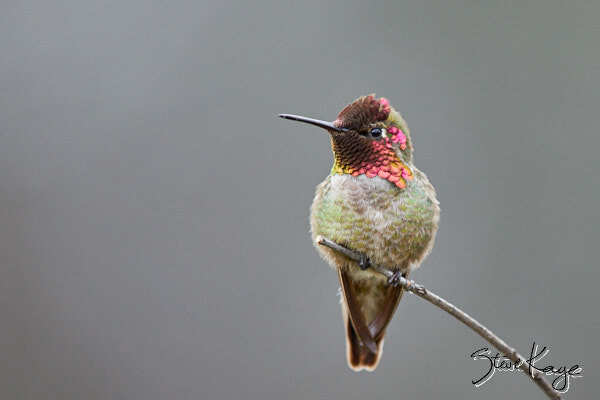 But the male’s gorget can show a rainbow of hues, going from black to red to pink to gold. And this is just a small sample of what this bird can show. So the next time that you’re out, pause a moment to watch this bird display its million faces. 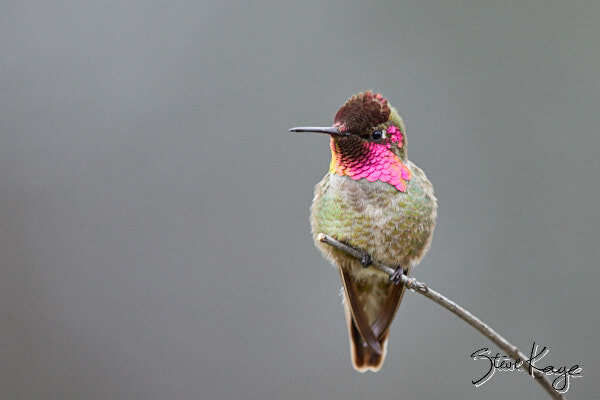 Hummingbirds are able to move the feathers in their gorget, changing the angle they make with the sun. Thus this increases or decreases their luminescence. 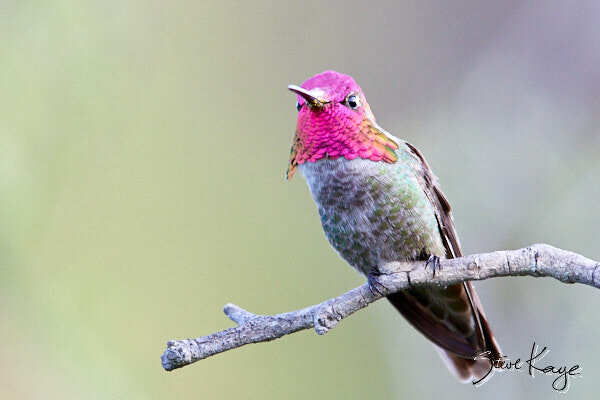 Since hummingbirds eat about twice their body weight in nectar each day, protecting their habitat is critical. 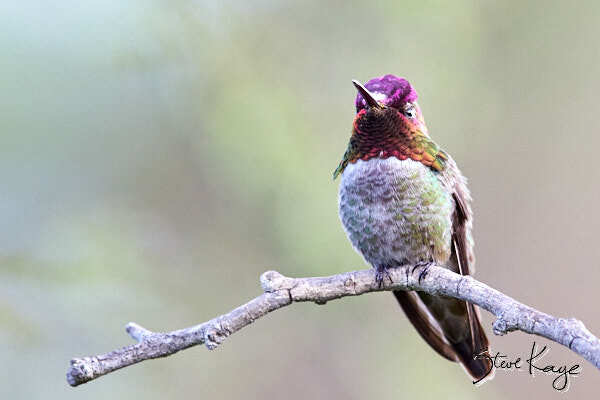 So when this bird sees another hummingbird, it flashes its gorget as a warning. If the intruder ignores this warning, the bird will chase the other bird by flying toward it. And that ends the dispute, until the intruder returns. Once again your patience is rewarded. 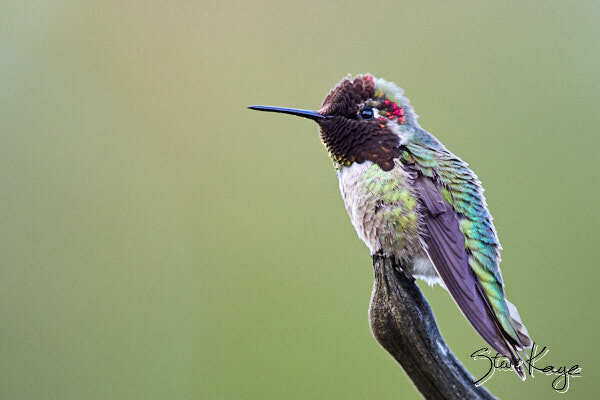 Hummingbirds never fail to bring a smile to my face. I listen for the flick of their wings when I’m out and about, and stop in my tracks in hopes of spying the fast-darting mites. Your photos always captivate me, Steve. And I so appreciate your reminders and tips for caring for our feathered friends. I wish some one would change “gorget” to something more pleasant sounding or descriptive – how about “palette”?